Christy’s professionalism and contagious positive attitude combined with her market knowledge enables her to provide exceptional customer service to her clients. With a background in teaching, Christy enjoys educating her clients as well as creating lifelong relationships with them. She focuses on clear communication and is committed to her clients every step of the way to make buying or selling a home a smooth process and enjoyable experience. Christy works alongside founding agent Tom Hughes and his team daily, assisting with a multitude of transactions. Born and raised in Houston, Christy ventured to Austin after high school where she graduated from the University of Texas and was a member of the Chi Omega sorority. After graduating, she was drawn to the energy of the city of Dallas. 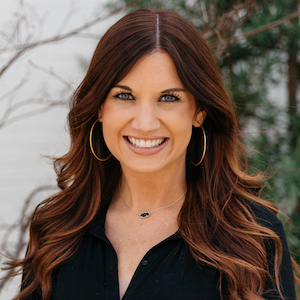 She taught elementary school for 5 years in Plano ISD before deciding to follow her passion for real estate. She is proud to be a part of the Tom Hughes team, a top producing team at Compass. Christy currently resides in Lake Highlands with her Park Cities native husband George and their 2 daughters. In her spare time, Christy enjoys spending time with her family, walking her goldendoodle at White Rock Lake, and traveling.